(CNN) – He's been dubbed "the Stephen King of children's literature." After selling more than 350 million children's books worldwide, author R.L. 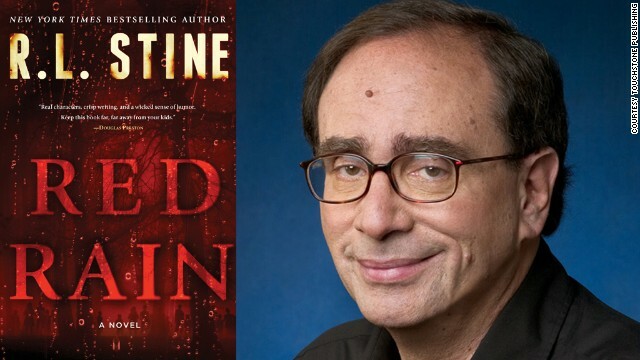 Stine recently released his first novel for adults, "Red Rain." The novel comes on the heels of the 20th Anniversary of his popular "Goosebumps" series. It's a sort of dedication to his readers who are now grown up and, via social media, begged Stine to write a more mature novel. As a kid writing joke books in class, Stine recalls a time when he was close to choosing a different path. [2:10] "People always ask me, 'Did you have a special teacher that encouraged you to write? That inspired you?' This is horrible. I always have to say they begged me stop...I really think if they hadn't begged me to stop I might have stopped and that would have been it." Instead, Stine went on to become one of the best-selling children's writers of all-time. His success is rooted in his odd sense of humor. [4:32] "People like violence. People who complain about books and video games [saying], 'The video games are too violent' - I think they're just wrong. I think it gets out a lot of tension from kids and gets out a lot of angry feelings. Kids feel like monsters sometimes, they have to get that out." Editor's Note: Listen to the complete interview in the player above.